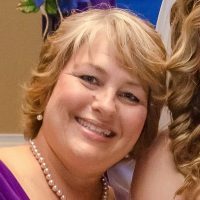 I’m Lori Behrens, Christ follower, pastor’s wife, adoptive mom, native Texas, coffee lover, blogger, writer. You may be asking, who is this and why should I care? … Well, stick around, visit often and get to know me and my family. I can’t promise you will always like us, but I can promise you won’t be bored! You may even find a part of yourself in many of the stories. One thing you should know now. Though I occasionally question myself, I never question the fact that my identity is grounded in my precious Savior, Jesus Christ. At least theologically I never question it. Behaviorally? Eh … well that’s another matter all together. I am a continual work in progress! I try my hardest to live out my Christian faith, but it’s impossible to do on my own. On my own, that is, without the help of my precious Jesus. Every single day I have to squish my own selfishness and ask Jesus to give me the strength to live out what I know in my head to be true. God has been gracious enough to give us basic instructions in truth through His Word, The Bible. It has radically changed mine! Christ follower, pastor’s wife, adoptive mom, native Texas, coffee lover, blogger, writer. Lori, what a joy to see you follow God’s unique plan for your life. Love you girl!